It's time for Easter baskets, Easter egg hunts, Easter bunny ears & Peter Cottontail! We've got hundreds of cool Easter toys, games & cool stuffers for your Easter gift baskets or to use as giveaways at your Easter party (great for Easter egg fillers for that Easter egg hunt!) - so relax & browse! New this year ... Easter Goody Bags! You'll please every child on your list with our vast selection! 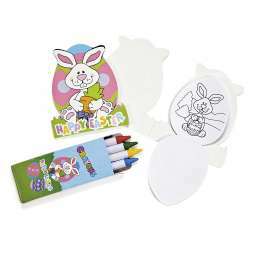 You can start with the Easter-themed items, then move on to our Toys by theme page (check out our Keychains, Inflatables, Gliders, Stickers & Smiley Face! ), then feel free to browse through our hand-picked Easter Basket Stuffer selection of toys, games & novelties that defy any category!